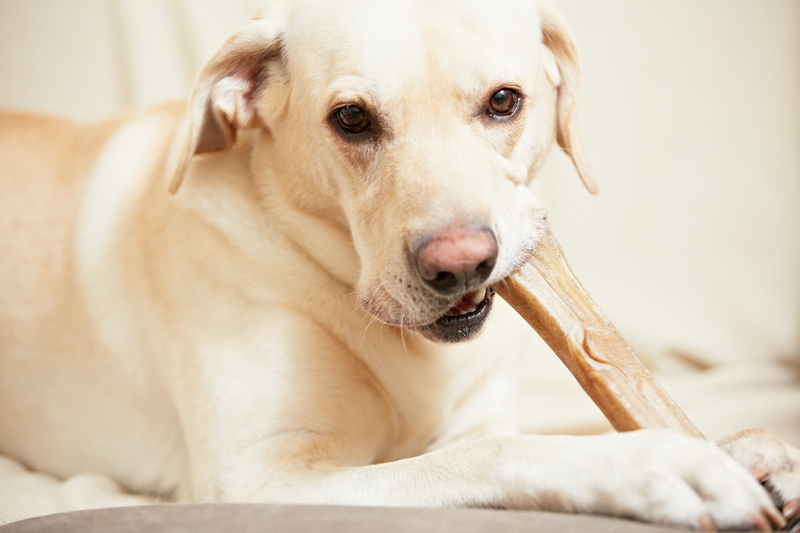 To chew means ‘to crush with the teeth,’ as when eating, and ‘to tear something by chewing,’ mostly like dogs do with things around the house (in this sense it is sometimes used with on). Figuratively, to chew, usually with the adverb over, means ‘to think about something, or consider it at length.’ As a noun, a chew is the act of chewing or the thing chewed. You should always chew your food thoroughly. Bill was annoyed to find the dog had been chewing his shoes again. It's a tough decision; I'm going to need a couple of days to chew it over. Give that toffee a good chew. Jane bought some chews for the dog. In the 1980s, the English candy company Rowntree’s ran an advertising campaign for their Fruit Pastilles (in the UK a pastille is a soft, chewy candy), based on the idea that you couldn’t put one of these candies in your mouth without chewing it. One of the best known advertisements shows a basketball player performing a series of impressive moves with a ball in front of a small child, who then challenges him to put the candy in his mouth and not chew it. In the US, people take cookies very seriously. When it comes to chocolate chip cookies, most people have a preference–soft and chewy or hard and crispy/crunchy. Sometimes different proportions of ingredients can help make a cookie chewier or crunchier, and cooking time can make a difference too (if you bake the cookies for too long, they probably won’t be chewy). For many cookie aficionados, the ideal chocolate chip cookie is chewy on the inside and crunchy on the outside. Here‘s a classic chocolate chip cookie recipe from the New York Times. American recipes normally use volume (cups and teaspoons/tablespoons) instead of weight (grams), but this one gives both. In fact, many professional bakers in the US do prefer measuring by weight because it is more precise, so you can sometimes find such recipes in more sophisticated cookbooks. Chew dates back to before the year 1000, as the Old English verb cēowan, which later evolved into the Middle English chewen, before losing the ending (like all verbs in English did). It’s related to the Old High German verb kiuwan (modern German kauen). The noun came from the verb.